1) Sells Bravery Amulets at 1CP; 2) Helps you leave the event map. Once you pay 1 CP for a Bravery Amulet, it will take effect on increasing Final P-Attack and Final M-Attack by 1000, reducing Final P-Damage and Final M-Damage by 1000, and enhancing P-Strike and M-Strike by 10%. 1. 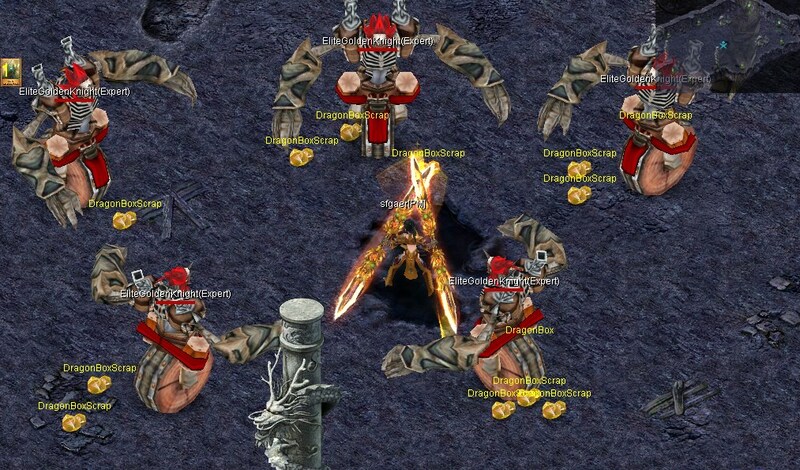 All level 100+ or reborn heroes can visit Dragon Lair Guide (Twin City 299,285) to take the quest once a day. 2. The Dragon Lair has long been famous for its fabulous treasures, as well as furious monsters. 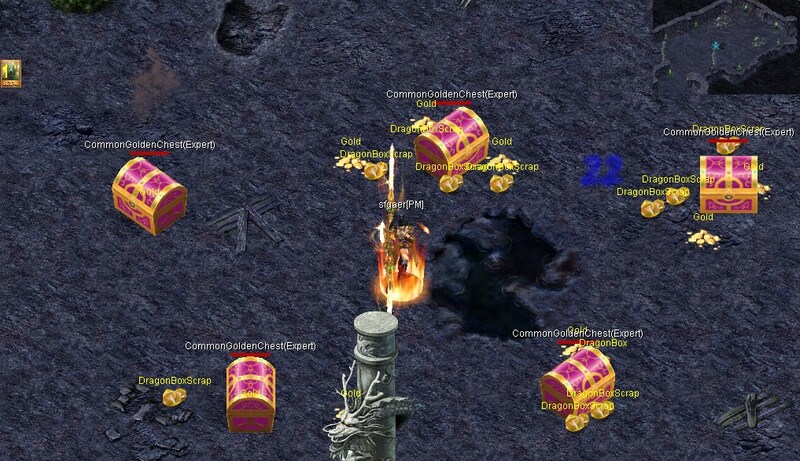 To win these treasures, you should clear the stage fast enough. 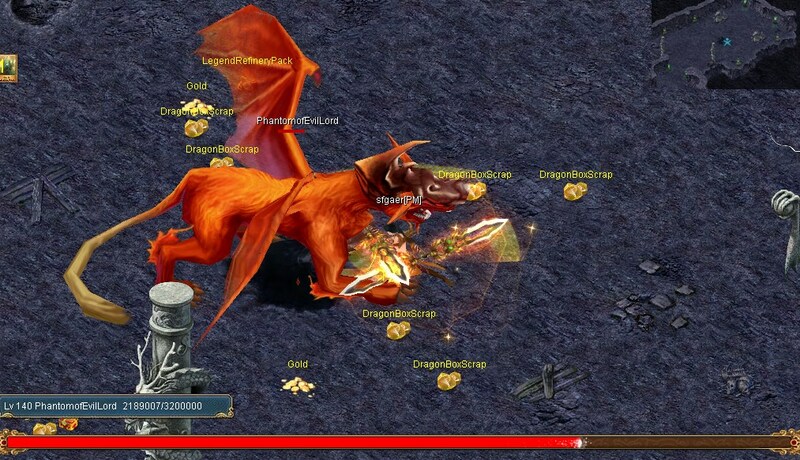 While opening the Rare Dragon Box, you have a chance to win valuable treasures like DB Scroll, +6 Steed, +6 Stone, etc. Are you interested? The Dragon Lair Guide （Twin City 299,285）will give you a hand. 3. The event is divided into Normal stage (BP 250-)、Hard stage (BP250-330)、Expert stage (BP 330+). 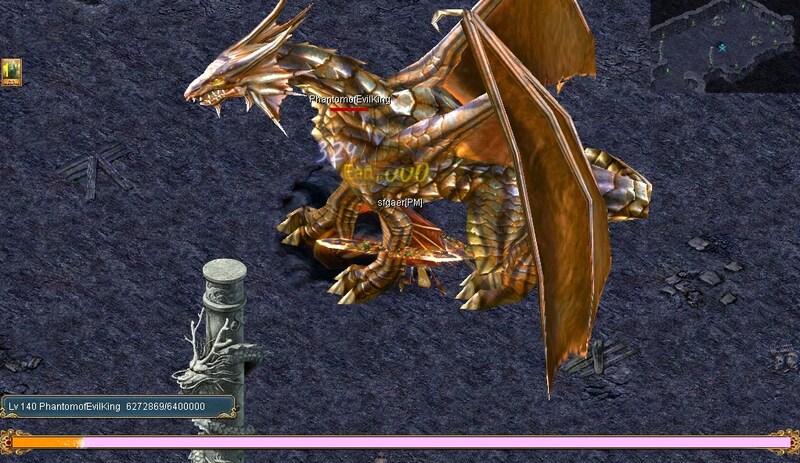 The challenge starts as soon as you choose a stage and enter the Dragon Lair with the lair guide`s help. You can challenge only one stage a day. 4. At the 1st round, you`re asked to unlock all the Treasure Chests within 30 seconds. If you fail, these chests will turn into brutal knights, reducing the reward by half. 5. There are totally 8 rounds in the stage. If you spend more than 4 minutes in breaking through them, you`ll awaken the Phantom of Evil Lord. 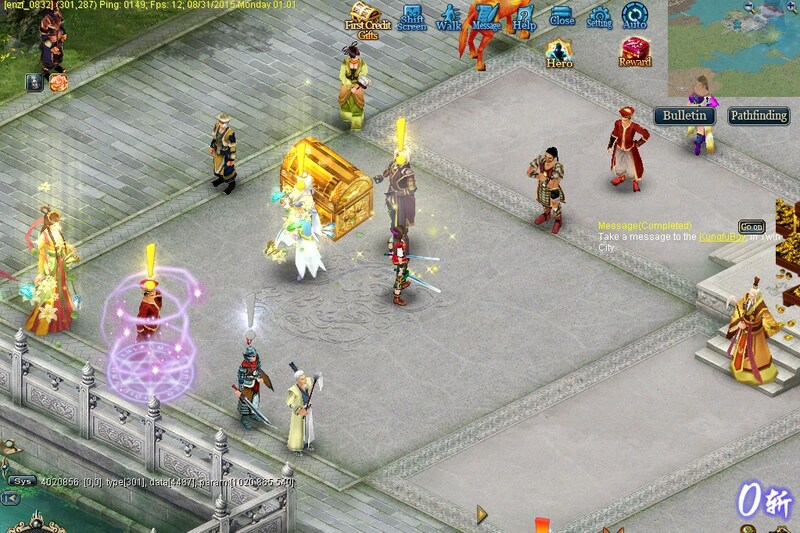 If you spend less than 4 minutes, the Phantom of Evil King will appear. As far as we know, the King of Evil Spirit is carrying better rewards. 6. Different stages give away different rewards. Additionally, you may receive Dragon Box Scraps during the challenge. You can combine 10 scraps into a Dragon Box. If you get 10 Dragon Boxes, you are suggested to upgrade them into a Rare Dragon Box. Random treasures like Dragon Box Scraps. 5 Dragon Box Scraps, 45-minute EXP, 30 Study Points and 150,000 Sliver. 10 Dragon Box Scraps, 90-minute EXP, 60 Study Points and 300,000 Sliver. Random treasures like Dragon Box Scraps and Dragon Boxes. 2 Dragon Boxes, 180-minute EXP, 120 Study Points and 600,000 Sliver. 7 Dragon Box Scraps, 1 Dragon Box, 90-minute EXP, 60 Study Points, 60 Chi Points and 300,000 Sliver. 4 Dragon Box Scraps, 3 Dragon Boxes, 180-minute EXP, 120 Study Points, 120 Chi Points and 600,000 Sliver. 1st Place: 300 Study Points and 5 EXP Balls (B). 2nd Place: 200 Study Points and 4 EXP Balls (B). 3rd Place: 100 Study Points and 3 EXP Balls (B). 1st Place: 500 Chi Points and 5 Special Training Pills (B). 2nd Place: 400 Chi Points and 4 Special Training Pills (B). 3rd Place: 300 Chi Points and 3 Special Training Pills (B). 1st Place: 1000 Chi Points and 5 Favored Training Pills (B). 2nd Place: 800 Chi Points and 4 Favored Training Pills (B). 3rd Place: 500 Chi Points and 3 Favored Training Pills (B). 1. Once you enter the event map, you need to unlock all the Treasure Chests within 30 seconds. 2. If your BP is higher than the required BP for the present stage, you will be teleported out of this stage and cannot receive any rewards. 3. If you are offline or leave the event map during the challenge, you need to challenge again and you will not receive the rewards you have already gained before. 4. The ranking will be renewed at 00:01 the next day, and you need to claim your ranking rewards from Dragon Lair Guide (Twin City 299,285) on the next day. 5. Please leave enough inventory space for the rewards. 6. Once you buy a Bravery Amulet from Dark Explorer, you will enter into the status immediately.